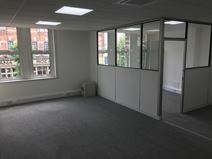 With an excellent location just a 5-minute walk from Kingston High Street, with its shops and other amenities, this modern serviced office centre provides a variety of unfurnished suites available for immediate occupation. A handsome period building housing offices suitable for small companies either in self-contained rooms for up to 4 people or in shared workspace. The building is blessed with much original character and good natural light and is ideally situated in central Kingston, minutes’ from the shops and station. A selection of office spaces of various size is available to let in a prestigious business centre in Kingston. This business centre offers flexible office solutions to accommodate any of your needs and provides a wide range of services and facilities to offer an ideal working environment. Within walking distance of the railway station, these offices are easily accessible and surrounded by companies, shops, malls and restaurants. Located in the fantastic area of Kingston upon Thames, this is the ideal centre for those wishing to be based in South West London. On-site amenities include IT support, kitchen facilities, car parking spaces, office cleaning and air conditioned offices. The space is easily accessible by train, with Norbiton Station just a five minute walk away. As well as this, the local area has a number of bus stops. 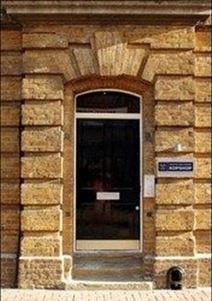 Unique serviced offices in Kingston within a former police station that has been imaginatively renovated to create high spec office space. The Kopshop provides all inclusive serviced office packages that combine excellent facilities, including CAT5 cabling, fibre optic broadband and free conferencing facilities, with minimal start up expenses and no hidden costs.